Renee chose an elegant Martina Liana strapless gown with a sweetheart ruched bodice, natural waist, and flowing silk a-line skirt. She also added a full ball gown petticoat under the skirt for added drama. For so many brides, the pinnacle of wedding planning lies in choosing the gown. A wedding gown is a truly transformative garment and shopping for and selecting “the” dress is unlike any other shopping experience a girl will ever have. But precisely because it’s such a different experience, many brides are actually unprepared for the experience. So, here are 5 tips for when it’s time to shop for your wedding gown! "For so many brides, the pinnacle of wedding planning lies in choosing the gown. A wedding gown is a truly transformative garment and shopping for and selecting “the” dress is unlike any other shopping experience a girl will ever have. But precisely because it’s such a different experience, many brides are actually unprepared for the experience. 2. Do your research. Thanks to the internet, specifically Pinterest and designer’s social media accounts, brides have access to images of more dresses than they ever thought possible. Before you make an appointment, take some time to browse dresses and see which designers you are drawn to. Once you’ve determined what you like, then you can choose a salon that carries the designers you love the most. You can also do further research to learn what price range your favorite dresses fall into. Now that you know what to do before the appointment, here are my tips for your big shopping day! 3. Wear make-up and style your hair. You’re shopping for your bridal gown, a gown you’re going to wear on a day when you will likely be putting a lot more effort into your overall appearance. So, don’t shop without thinking about that detail. The key to buying your wedding gown is visualizing yourself on that day. It can be hard to do that if you haven’t put effort into your appearance. 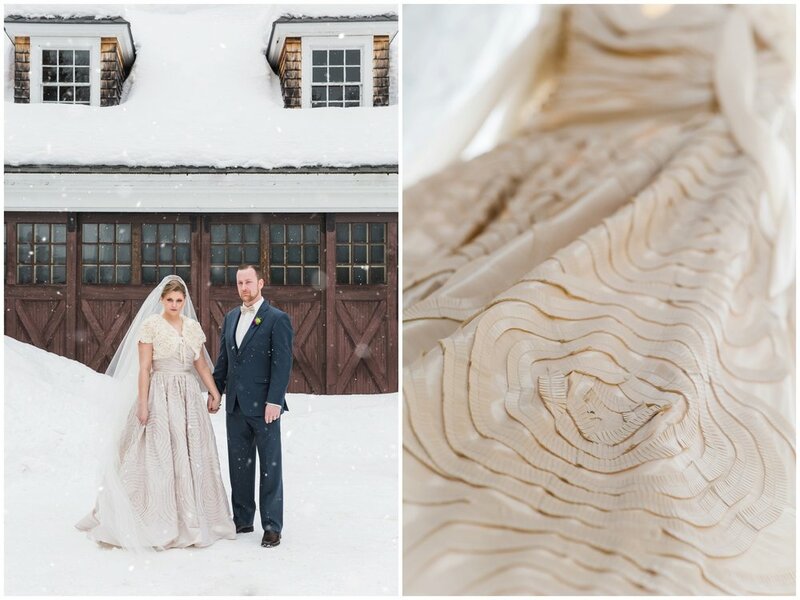 Lauren chose a modern, yet classic ball gown from Wtoo by Watters. The taffeta dress featured a ruched strapless sweetheart bodice, full skirt with hand pleated floral details, and a thin satin ribbon belt. 4. Be emotionally and financially prepared to find your dream dress. While it’s true that some brides visit multiple boutiques and try on dozens of dresses before “saying yes to the dress,” the reality is that most brides find their dream dress in as little as eight dresses. This is especially true at Madeleine’s Daughter where the stylists are there to help narrow the selection. If you’re in the capable hands of an experienced bridal stylist, they’ll be able to get a sense of your overall wedding aesthetic, as well as your personal bridal style in just a few minutes of chatting with you. In addition, they know the dresses intimately. They’ve seen dozens of brides try them on, so they know what dresses work on what body types. They’ll narrow the selection down for you, from the hundreds of dresses out there, to just a handful that they know will be amazing on you. What might have seemed like an overwhelming amount of choices, will be miraculously narrowed down rather quickly. What does this mean for you? It’s HIGHLY likely you’ll find your dress the first time you shop. Many brides aren’t prepared for that. They expect the process to be harder than it is. Our advice is to shop with an attitude that you’re going to be successful in finding your dream dress. (Statistically speaking, you will!) And that leads me to the second half of my tip- being financially prepared. 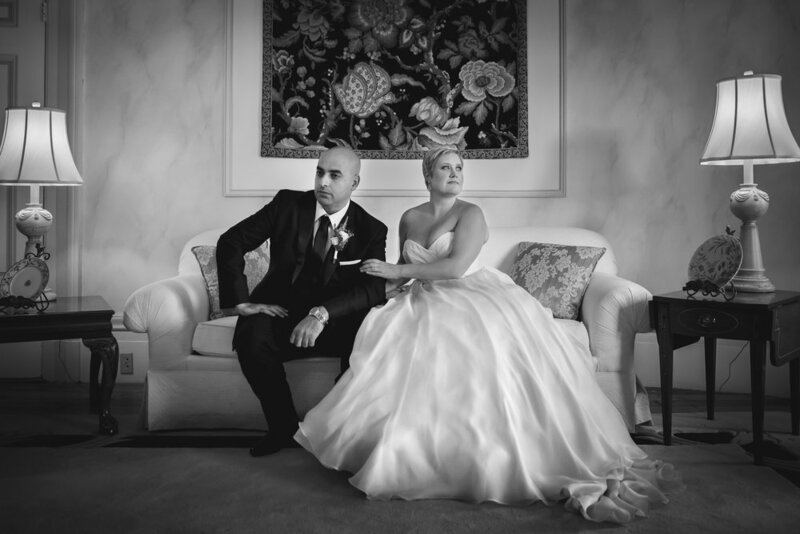 Wedding gowns are part of the fashion industry. And fashion changes all the time. Dresses are discontinued all the time. And those that remain available often take several months to order. Being prepared to put down the deposit on your gown will help alleviate the stress of getting it in time for your wedding. It’s heartbreaking when a bride waits to order her gown and in that month or so of waiting, the gown becomes unavailable. Don’t let that happen to you! 5. Have FUN! The most important thing when shopping for your gown is to remember this is a memorable, exciting experience, so have FUN doing it! Bring a couple of your closest girlfriends and make plans to celebrate afterwards! This is one of the first steps you take in planning a wedding, and an amazing memory that you’re creating. Enjoy it! This content is brought to you by Renee Habashy, bridal stylist and manager at Madeleine’s Daughter in Portsmouth, New Hamsphire.